Stanton Time Kindergarten, First, and Second Grade! We’ve been busy and having fun in K-Ville talking about manners and what makes a good friend. Kindergartners read several books highlighting the importance of including others, giving friends space, being kind, listening, and how it is OK to play with other friends and let our friends play with other friends, too. 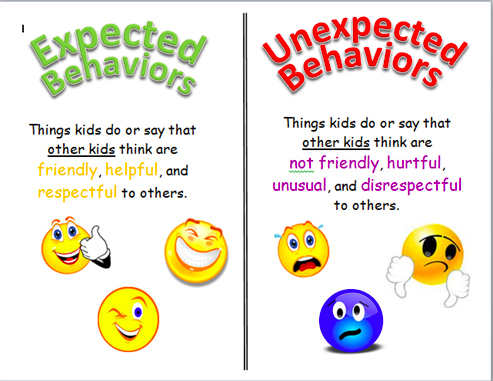 We are now starting a unit on “Expected and Unexpected Behaviors”. Ask your students about these as well as “green thoughts” and “red thoughts”. Check out Michelle Garcia Winner, the guru on Social Thinking for more information! This crew is such a fun and sweet bunch of kiddos and I have loved spending time in their classroom. It is going to be so fun to watch this group grow up! 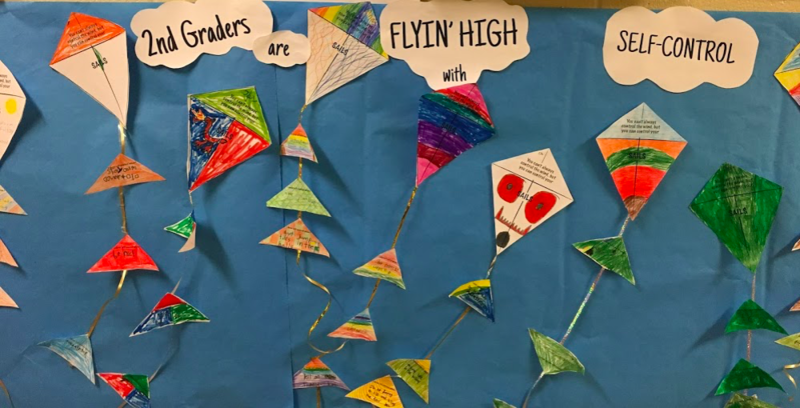 1st graders are becoming well-versed in the ZONES OF REGULATION, a way for students to assess how their brains and bodies are feeling at different times during the day. All zones are OK and all feelings are OK - we just need to be mindful of how our actions impact others feeling safe and comfortable. The blue zone might be a time when our brains and bodies feel sleepy, bored, sad, or sick. Students learned about “alerting tools” like talking to an adult, getting a drink of water, eating something crunchy that will give them energy, doing some desk pushups, yoga, using a fidget, or listening to music, that might give us some more energy or feel better. Our ultimate goal is to get into the “green zone” or the “learning zone” where we can be the best students we can be and make others feel comfortable and safe. 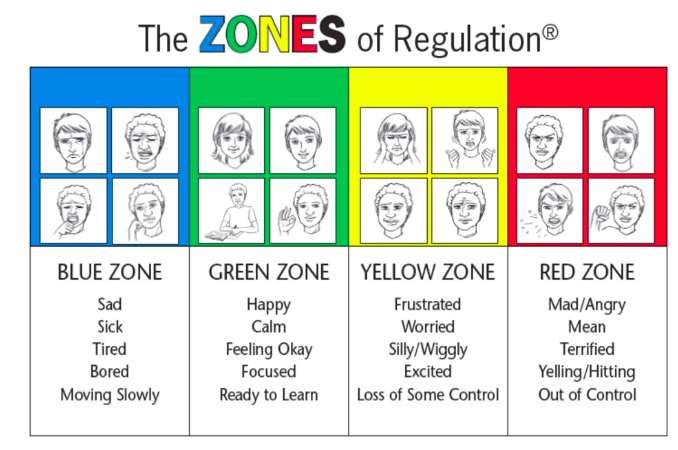 Being “ready to learn” means we are in the green zone - we are calm, happy, focused, and feeling OK! If our energy is higher (feeling anxious, competitive, silly, annoyed, upset), we might be in the yellow zone. If we are in school and need to be ready to learn or focus, being in the yellow zone might not be the best place for our brains and bodies to be ready to learn. We learned about using our “calming tools” to get back into the green zone; breathing exercises, counting to 10, talking to an adult, taking a break, among other strategies. In certain situations, it might be expected to be in the yellow zone, when our energy is higher and being calm and quiet is not necessarily needed. This might include when we are playing a game during recess, P.E., or participating in sports outside of school. As long as we know when we need to be in the green zone to learn or listen to instructions that keep us and others growing and safe. Finally, we talked about the red zone which is a zone we never want to be in at school because we might hurt ourselves or others. We can certainly use the tools we learned to calm us down if we feel like we are getting close to the red zone. The hope is that students are able to assess when they are, ask themselves if this is the zone I should be in for the situation, and consider their options or tools they have to be in the expected zone. Students have done a fabulous job with this and we hope that they will be able to keep thinking about their zones throughout their time as a learner and community member at the Lyme School. 2nd graders have completed their unit on Self-Control. 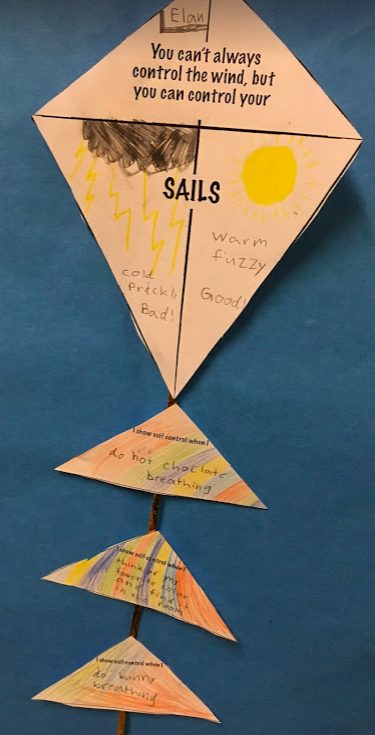 They made some amazing self-control kites that highlighted all the ways they demonstrate self-control at home and in school. 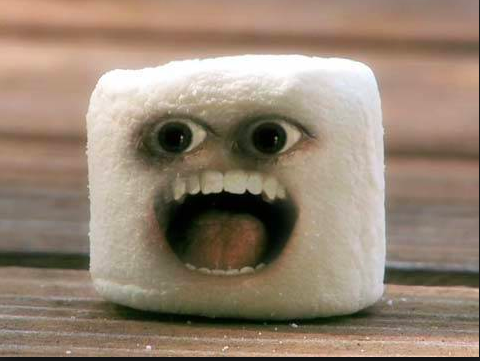 We had our final lesson where students participated in the “Marshmallow Challenge”, a test from Stanford University that gave students a marshmallow saying that they could eat the marshmallow now, or, wait a certain amount of time, and receive an additional marshmallow as a reward for waiting. This was a way for researchers to observe students’ ability to delay gratification.